A transport infrastructure engineering expert at the Council for Scientific and Industrial Research (CSIR) was awarded the 2016 JD Roberts Award for his involvement in developing new, innovative solutions for bitumen specification and testing. 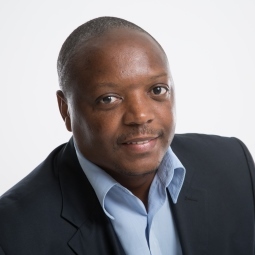 Georges Mturi, CSIR Senior Researcher and Manager of the bituminous binders' laboratory, has been selected as the recipient of the award, which is sponsored by Murray & Roberts and held in partnership with the CSIR. Mturi leads a CSIR research project that investigates changing the current bitumen specifications from empirical-based, to more advanced performance-based methods. His expertise also include bituminous products and technology, forensic investigations into bitumen-related road failures and the development of new additives that enhance the performance of bitumen, resulting in more durable road surfaces. The award, which was instituted in 1980 in remembrance of Dr JD Roberts, one of Murray & Roberts' founders, encourages scientific research into technology that will enhance the quality of life of all South Africans. Andrew Skudder, Sustainability Executive at Murray & Roberts and member of the adjudication panel, comments, "The finalists all presented work that was innovative and unique and determining a final winner was a challenging process." The two runners-up for the award are CSIR researchers, Drs Paul Nordengen and Jeremy Gibberd, respectively. Nordengen was recognised for his work in the development of bridge, overload control and abnormal load management systems across Africa, as well as the implementation of performance-based specifications for heavy vehicles, which result in significant savings on transport costs and reduce road damage. Gibberd's contribution to environmental sustainability, through the development of several innovative design tools that promote the design of energy and cost-effective buildings, was also recognised. Gibberd is currently working on sustainable city projects with the United Nations Environmental Programme, the Global Environment Facility and the City of Johannesburg. Dr Cornelius Ruiters, Executive Director of the CSIR, concludes, "The award is an opportunity to recognise the significant contribution made by researchers in providing competitive and environmentally sustainable solutions to infrastructure issues faced across the continent." The Group offers engineering, procurement, construction, commissioning, operations and maintenance services in the oil and gas, underground mining, power and water, as well as the civil infrastructure and building markets. Murray & Roberts is headquartered in Johannesburg, South Africa, and is listed on the JSE Limited. It has offices in South Africa, Namibia, Botswana, Mozambique, Zambia and Ghana, the United Arab Emirates, Australia, South Korea, Scotland, Canada and the USA.